Big Ted here!. I've has been travelling around the country again with my trusty sidekicks - this time I visited Norfolk. I had a lovely time and revisited my very first St Mary's away from Plumtree, it's in Brancaster. I went inside it and discovered it has a very ornate font cover (a splendid photo opportunity, of course). 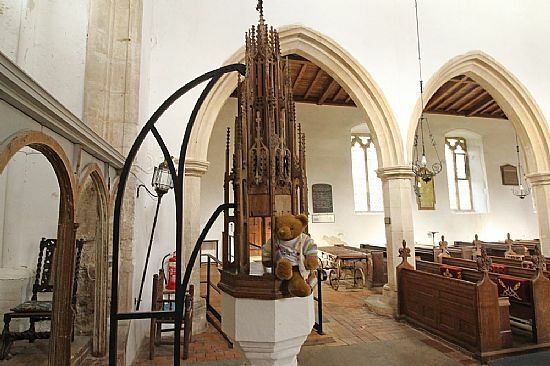 I visited 23 other St Mary's in Norfolk and so I have now visited a total of 245 St Mary's (not including my special St Mary's, here at Plumtree, where I live with Little Ted and the other toys in the Children's Corner). You can see all the Norfolk St Mary's churches that I visited (and click on a picture in the list to find out more). There's also a list of all the St Mary's churches I've ever visited; and a lovely map of them too. The Annual Church Meetings for 2019 will be held in church on Tuesday 31st April, starting at 7.00 pm. These include a report on the events of 2018 and the Elections of Churchwardens and of PCC members. Here's what parishioners need to know about the meetings. 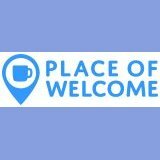 The Church Parish of Plumtree, Normanton-on-the-Wolds and Clipston is committed to the safeguarding, care and nurture of children and people of all ages in our Church Community and with whom the Church comes into contact. The Church has appointed Jane Cotton as Safeguarding Officer (click on the link for her contact details) and has prepared and operates a Parish Safeguarding Policy which is kept under review. Clergy, Licenced Readers, Churchwardens, members of the Parochial Church Council and all involved in the life and work of the Church, in this Church and in this Parish have adopted the Church of England’s National Safeguarding Policy: Promoting a Safer Church.